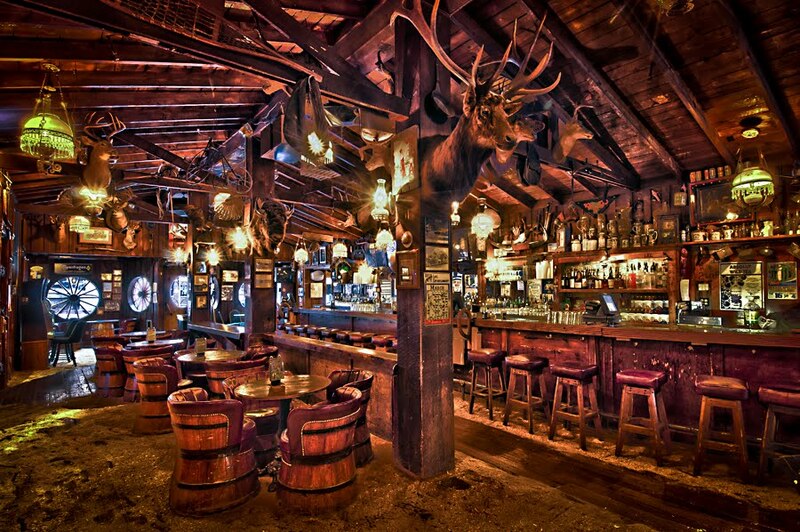 In my continuing education about High Dynamic Range photography, I recently took my camera and tripod inside the infamous Old Style Saloon No. 10 in Deadwood. It's the "Only Museum in the World With a Bar" and the home of the shooting of Wild Bill Hickok back in 1876. It's also filled with antiques and very, very dark for photography. Over the years I have kind of avoided shooting in the place because it was going to be difficult to put enough light in it to get a great photo. Now HDR makes things that used to be difficult much easier to deal with. Still got some funky color things going on here, but at least you can see what the place looks like. 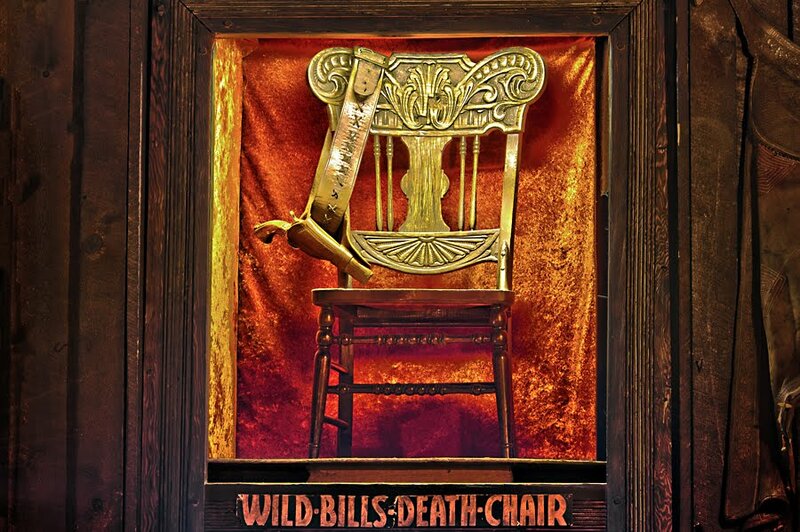 The very chair Wild Bill was sitting in when he was shot from behind by Jack McCall is displayed above the main entrance. If you're interested in shooting (photos that is) at the Saloon No. 10, I'd suggest mornings when the place is less crowded than a hopping Saturday night. The funkiness is kind of what I love about the Saloon 10 and what makes the main bar shot work for me. It seems like I usually only get there in the early afternoons for some reason and this is exactly what I walk into every time. Thanks Mike. Yeah, nothing wrong with funkiness in a bar, just a little frustrating trying to figure what's the "right" white balance there.